Gain opportunity. Beat the competition. 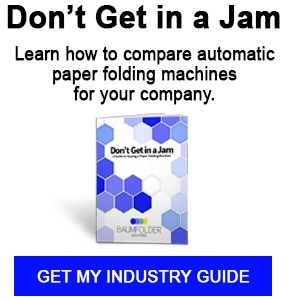 Expand your capabilities with the latest in folding, feeding and print finishing equipment. As a bindery and finishing solution and equipment provider, we have solved post-press inefficiencies and expanded capabilities for many companies, from digital printers and mail houses to e-commerce centers and industrial settings. Our equipment is designed with HMI interface for ease of operation and reliability of gear drive. Reduce your make-ready times, improve quality, expand job opportunities and decrease overall costs with a more efficient solution for folding, feeding and print finishing. Whether an upgrade or tailored solution, our innovative team can build the application you need. Reduce ready-make time with a BAUM floor model folder, known for ease of operation and years of longevity. Pile, continuous feed or inline – we have a model for you. 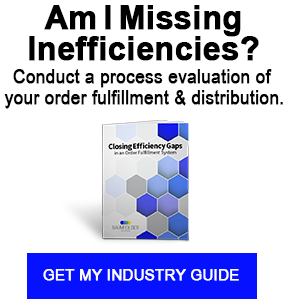 Add versatility and improve efficiency. The latest in BAUM finishing equipment provides solutions for both digital and offset printing processes. Gain profitability with a saddle stitcher that is easily adaptable to frequent format changes and run lengths. Ideal for short- and medium-length runs. Programmable, heavy duty and with the latest in safety features – BAUM cutters are known for low maintenance and hours of operation. An in-house custom shop. Feed, stack, load or sort – we can design, engineer and build it. Whether you need a custom solution or customization of our standard products, our expert team can do it.